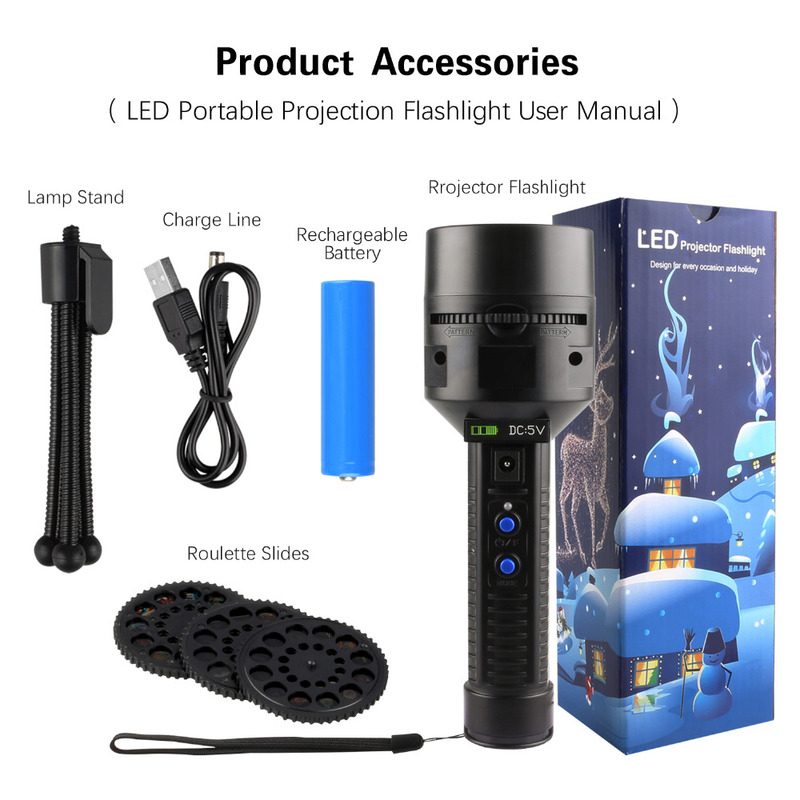 【Portable Handed Design + Tripod Design】: This led projector light is small and light, convenient to carry on. You can use it by hand or install it on the supplied tripod for Halloween Christmas Decoration. Feel free to choose by you. Indoor use is most favorable. 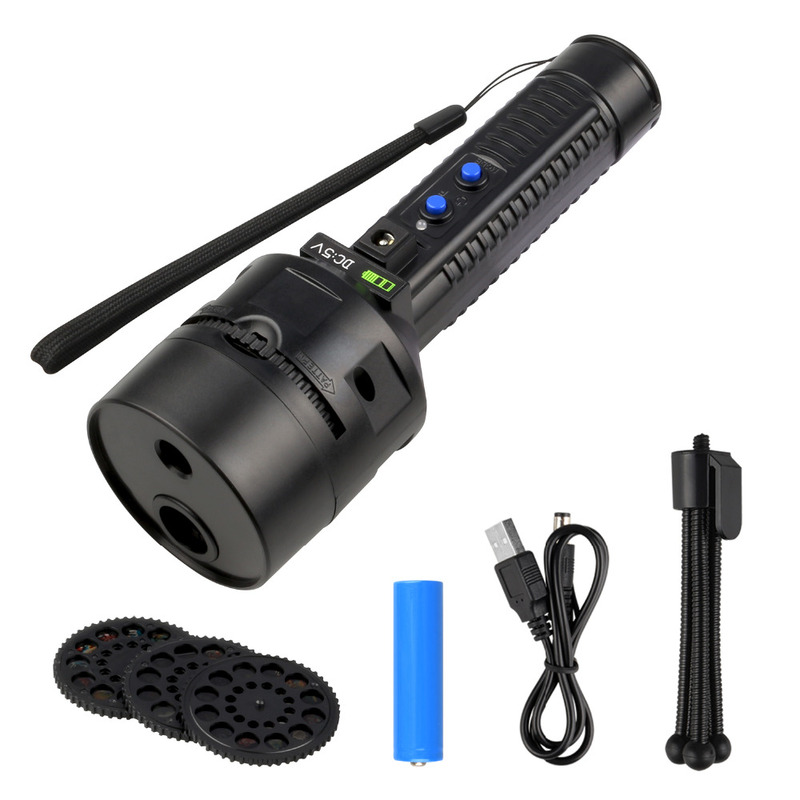 【2 in 1 Use】: To be a light projector or normal torch and flashlight, it is so easy. Just insert our unique slides to enjoy the fantastic projector light show! 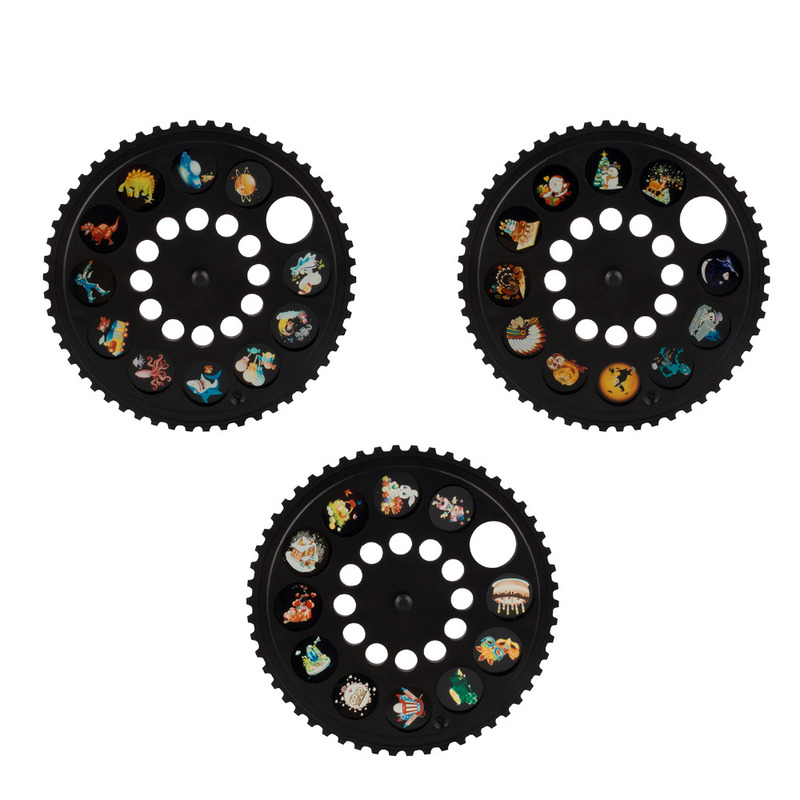 If you want to use it as a flashlight or torch, just take off the slides or stir the slides to a blank image. 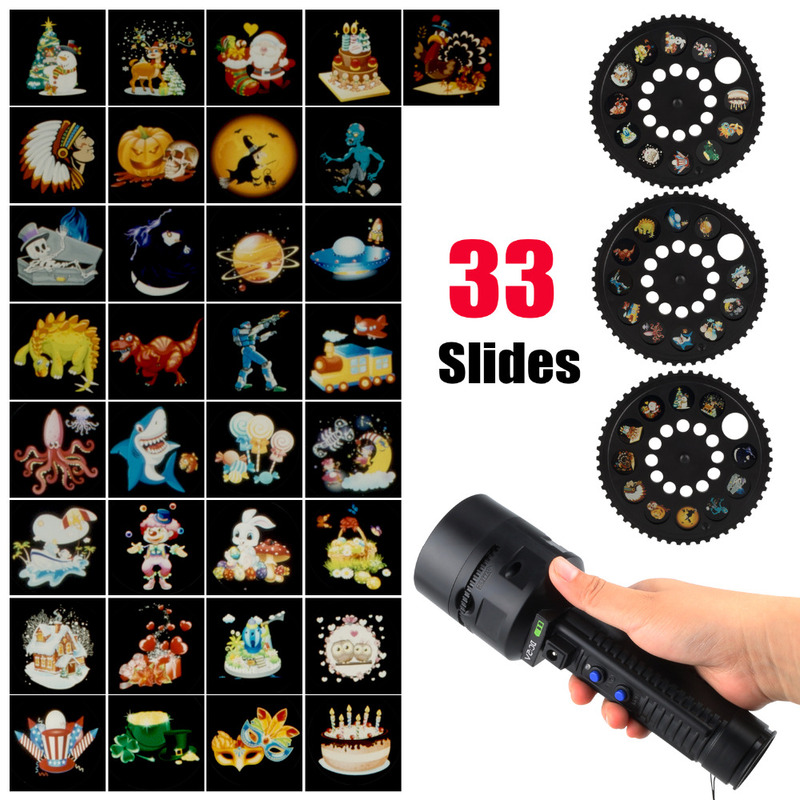 【33 Different Holiday Images to Display】: This lighting projector comes with 3 Slides and there is 11 images plus 1 blank for each Slides. Including Halloween, Christmas, Birthday Series. 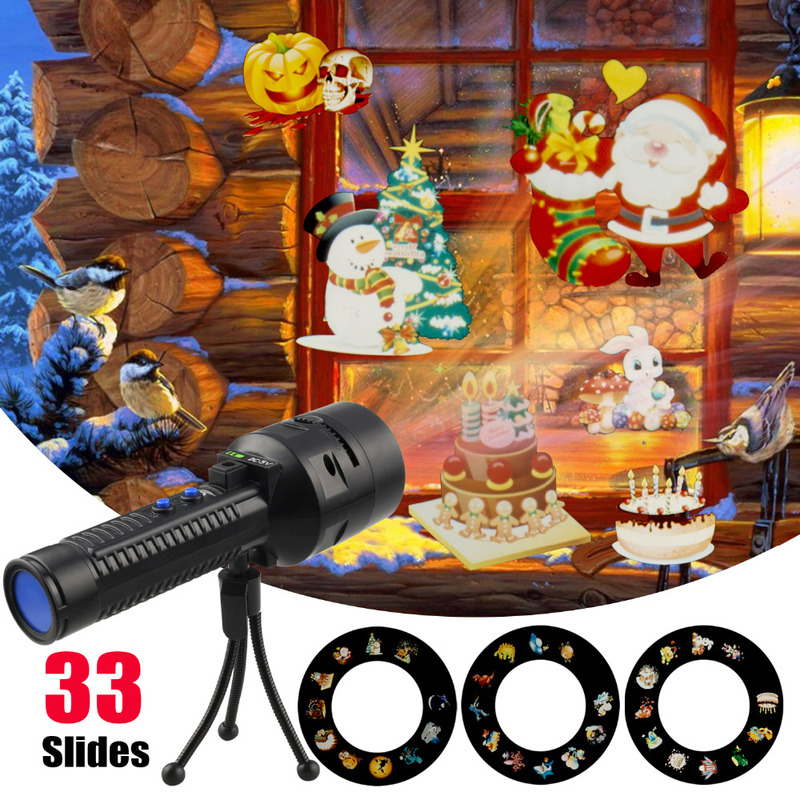 【Best Gift for Kids & Create Holiday Atmosphere】: Send this holiday projector to your children kids, they will love so much. Besides, promoting feelings of warmth between you and kids. Bring kids much more fun and happiness. Have a nice and unforgettable holiday 【Vivid Images + Dynamic or Static Modes】: The unique patterns are clear, the best projection distance is 10-16(ft) to ensure the clear images. 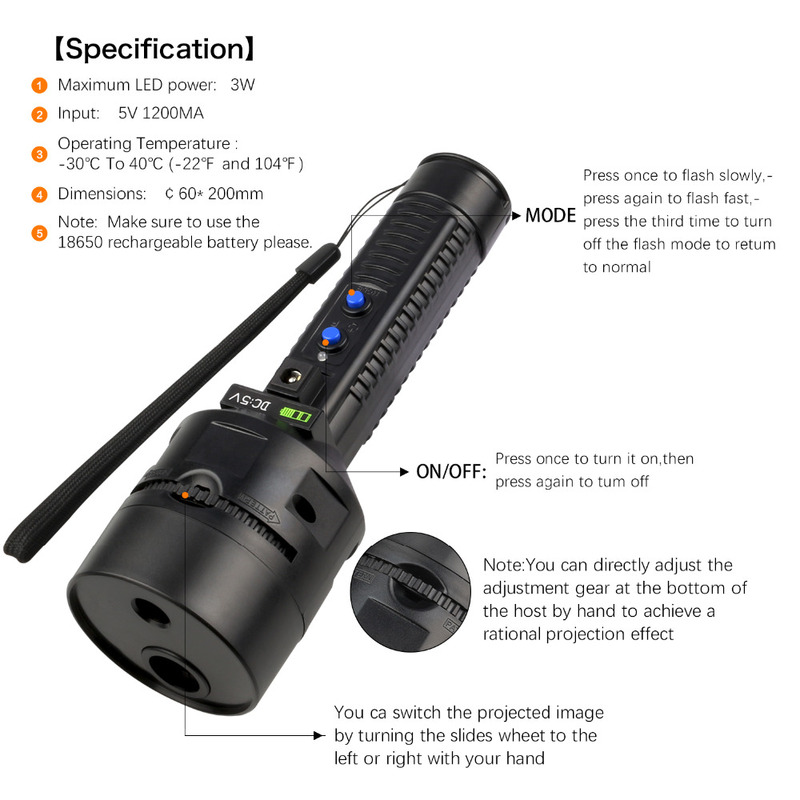 We have Dynamic and Static modes both controlled by the button on flashlight.